Turn Up for Peace in Chicago – Peace Rally – Sat. June 15th!!! | R.A.G.E. Turn Up for Peace in Chicago – Peace Rally – Sat. June 15th!!! 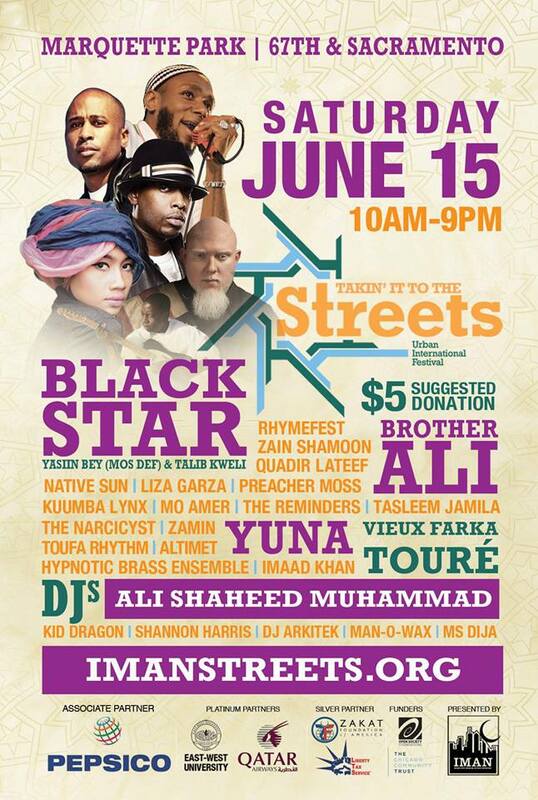 Join us Saturday, June 15th at Marquette Park for an exciting Peace Rally to kick off “Takin it to the Streets” hosted by IMAN. Please try to arrive by 10:15am to take advantage of parking and enter through 67th & Sacramento! The Peace Rally is being co-hosted by Englewood’s very own Ay-Sha Butler, President of R.A.G.E.! This rally will feature activists, religious leaders, artists, and other organizational allies and partners from across Chicago and the country. In addition to powerful performances by Kevin Coval and Rhymefest….Come out and be moved to ACTION to save our communities!! Englewood 10th Year Juneteenth Celebration – Saturday, June 22nd! !